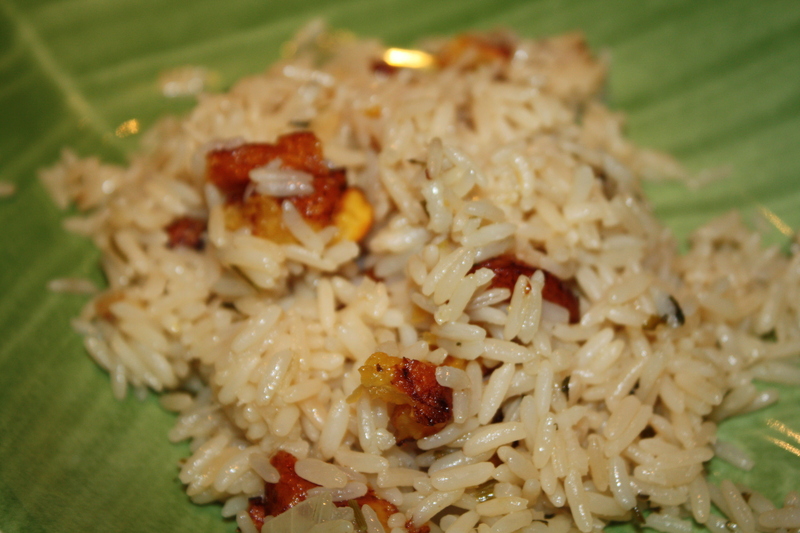 Arroz con Amarillos is nothing more than my Arroz con Cilantro recipe with fried sweet plantains, but boy, what a difference they make! YUMMY! Savory and sweet in every bite! 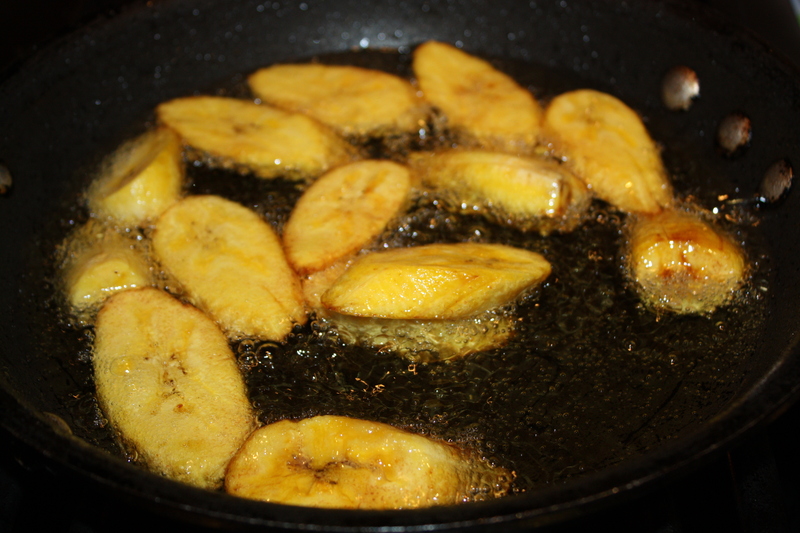 Plantains can be cooked green or ripe. Amarillos (what ripe plantains are called in Puerto Rico) or plátanos maduros (like they are called in other latin american countries) are a staple dish in most tropical countries around the world. They can be steamed, boiled, baked, grilled or fried. Nowadays, fried plantains (green or ripe) come frozen and ready to eat, but of course, it is much better if you find fresh ripe sweet plantains. 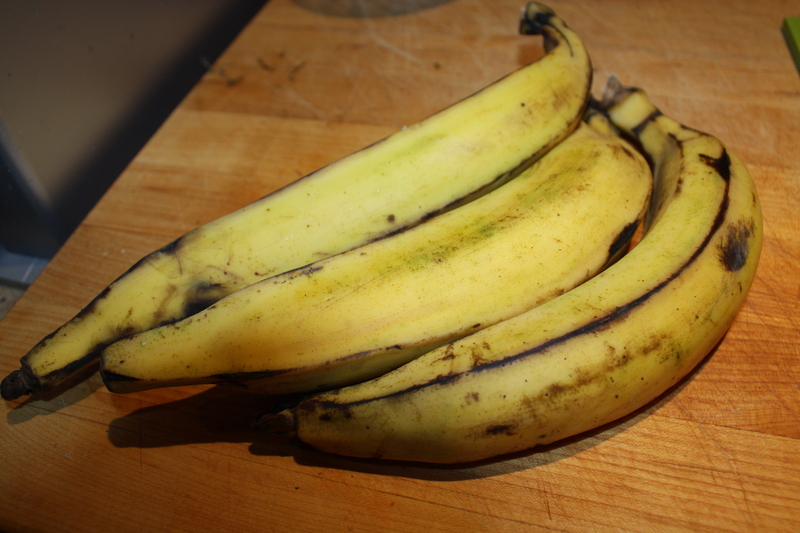 In order for the plantain to be sweet it must be yellow with black patches on the outside. Green plantains, used for tostones, mofongo (mashed) or chips (mariquitas or platanutres), are “starchy” like potatoes and seasoned with salt, bacon, onions or broth. On the other hand, sweet plantains, used for piononos and pastelón, are naturally sweet and need no seasoning and go great to accompany savory/salty meals. 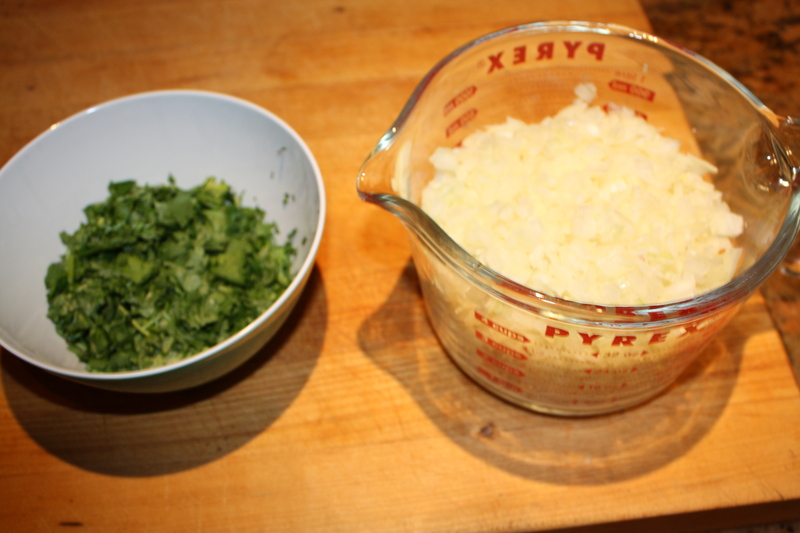 When I use the frozen kind to make this rice, I thaw them and saute in a skillet with a bit of butter. If I make it with fresh ripe plantains I don’t add the butter since they are coated with the vegetable oil in which they have been fried. 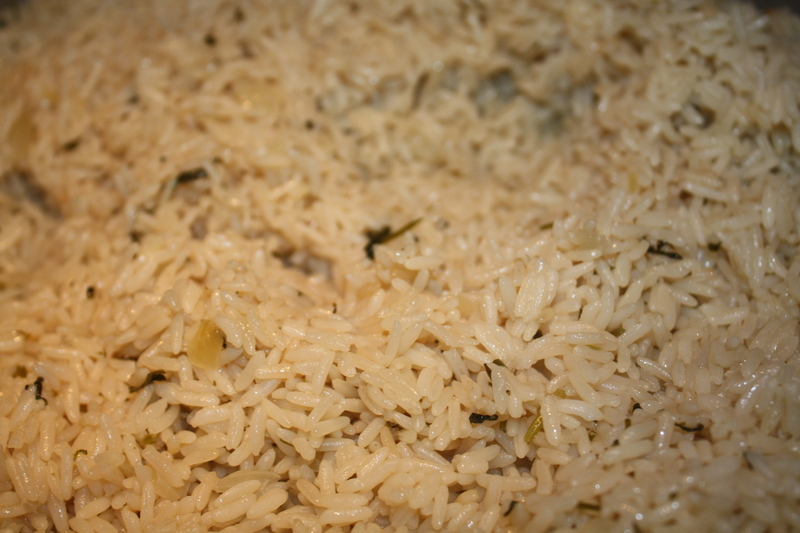 When I make this rice dish people always come back for more. 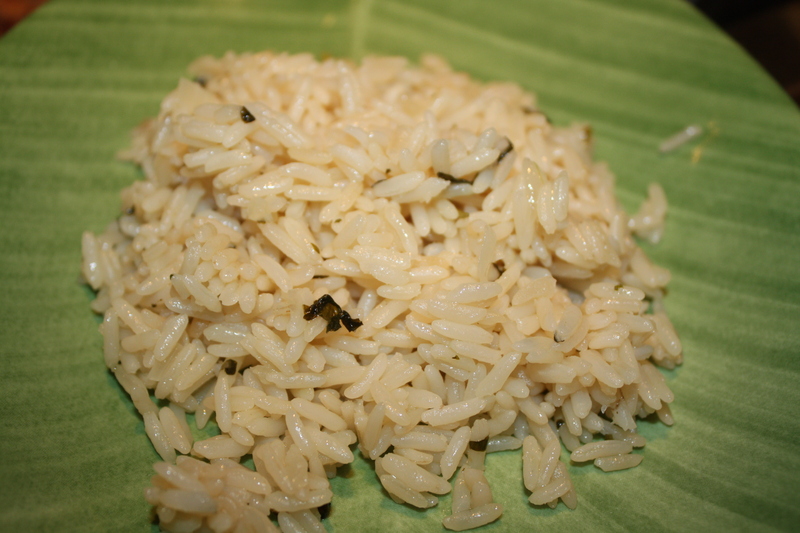 My friend Alexandra loves this kind of rice! I have offered it to our guests in Thanksgiving with our traditional whole fried turkey as well as with Filet Mignon, Prime Rib or New York Strip. 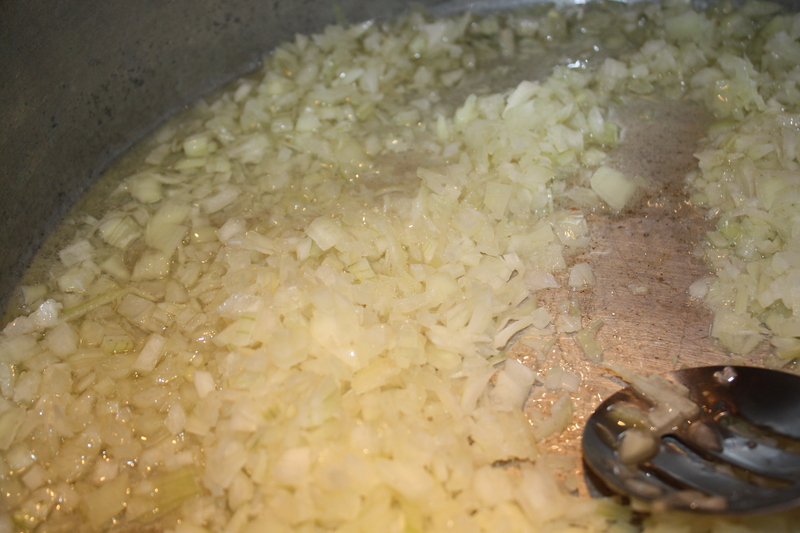 Also, great with a side salad or sauteed veggies. 1. 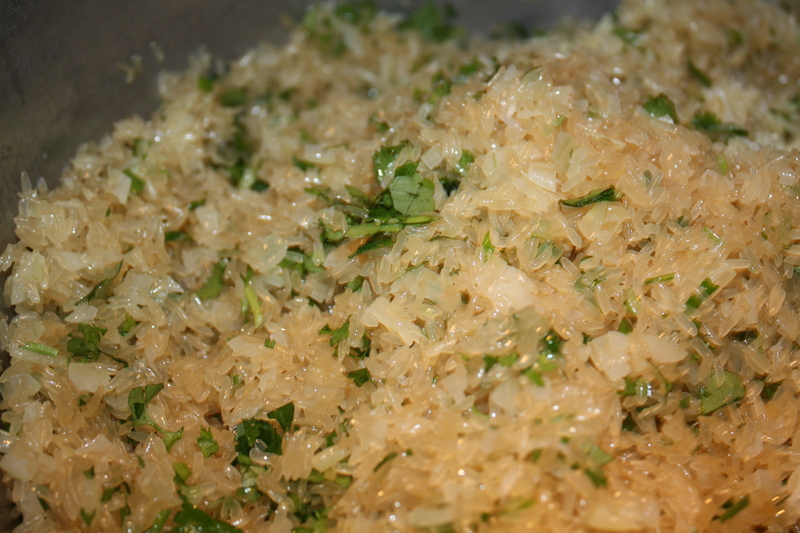 If using frozen plantains, thaw and saute in about 2 tbsp of butter over med-hi heat. 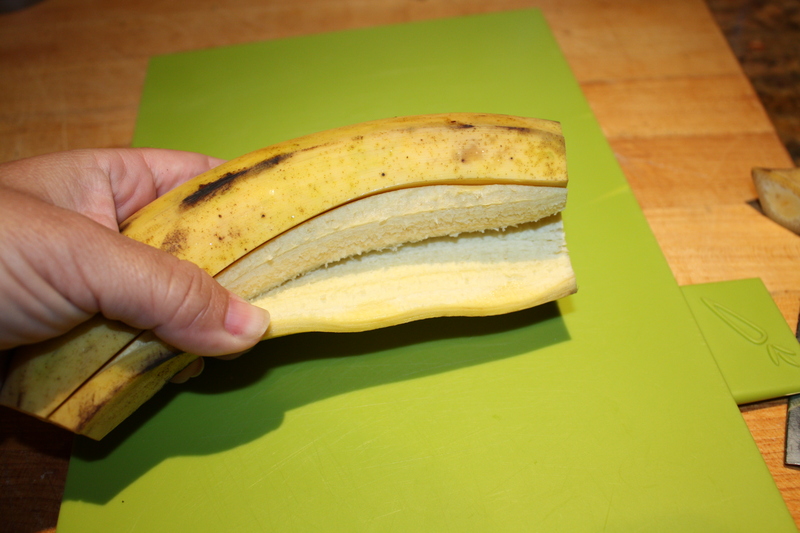 If using fresh ripe plantains, slice very ripe plantains about 1/2 inch thick and fry over med-hi heat in canola or vegetable oil until golden brown. 2. 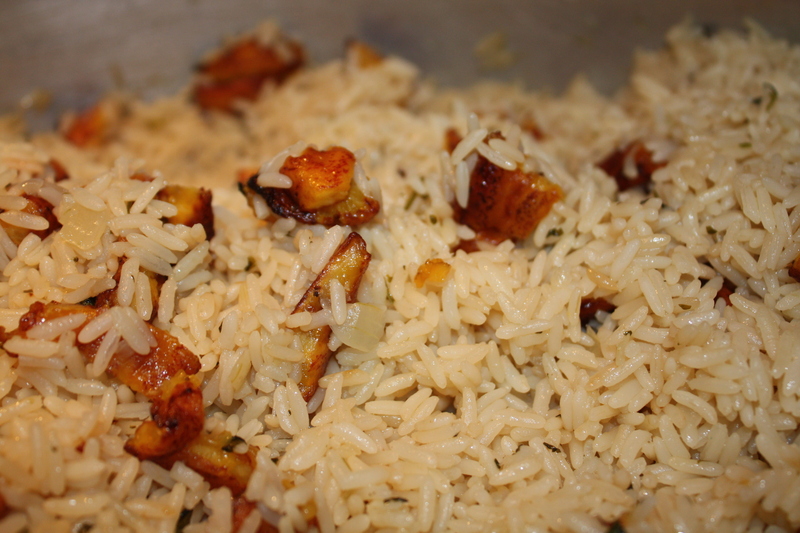 Cube fried plantains and stir into cooked rice.